I wasn’t sure I would ever be able to have kids. I ached to be a mother and dreamed of having a daughter. My hope ebbed and flowed over the years; wavering some days then firey and solid the next, fading to only a shadow on others. My husband never wavered. His hope was an anchor firm in the ground, unmoving. It was never a question for him. Six years ago my beautiful miracle girl was born. She is every hope fulfilled and every dream come true. We have danced and laughed and taught and cried our way through her infancy and toddlerhood, and now she is running. Running into this life at full speed with such vibrancy and life that her dad and I just look at each other in amazement. When she finished Kindergarten this summer we wanted a physical way to commentate these passing years. 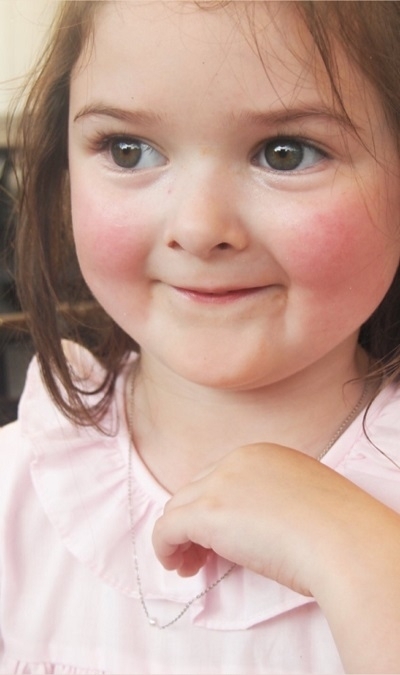 So she put on her twirliest pink dress and tiniest bit of blush and we took her to dinner to celebrate. She opened her pearl necklace and said, “A real jewelry!” She is so over the moon to add pearls each time and we love that we will finish it for her high school graduation. Each time I order a pearl I can’t help but think about her name meaning. Emma means whole and complete. Our prayer over her life is that she will feel whole and complete in every season. And what a special way to mark those seasons until her necklace is also whole and complete.